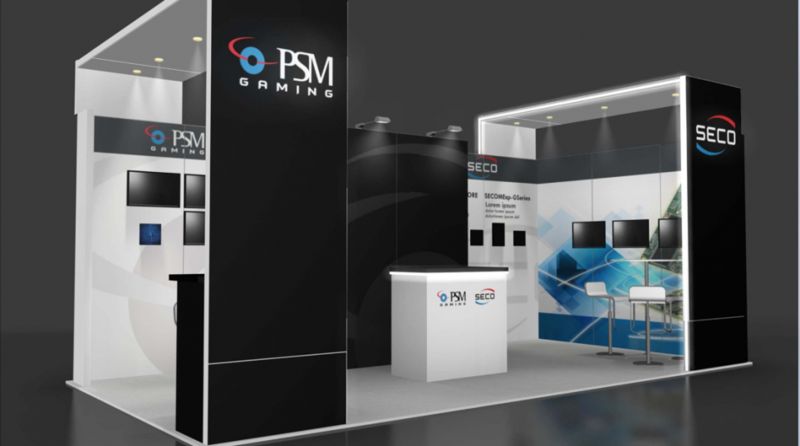 Highlights: Trimmed with LED lighting, this split 10×20 back-wall allowed two brands, Seco and PSM Gaming dedicated spaces within a shared 10×20 to display their different product lines. 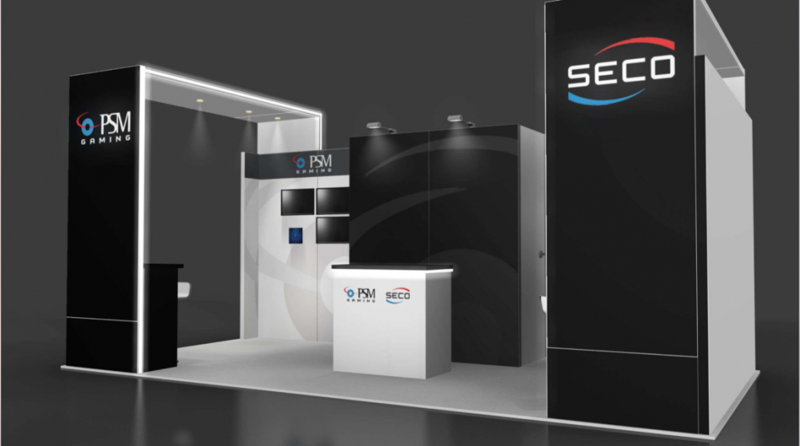 The unique booth guidelines for G2E allowed a design for 10’h walls and extended ceilings with lighting. This opportunity allowed each brand to display backlit logos on the entrance aisles of the booth for increased visibility. 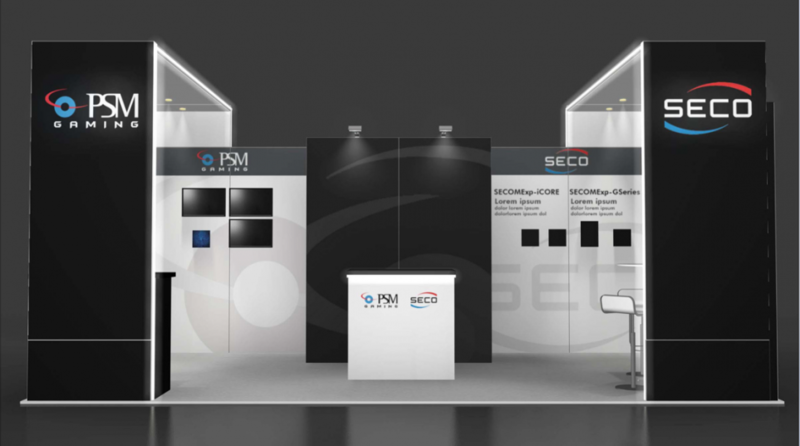 To see more custom 10×20 exhibit rental options, click here.